If wine was a dance partner this is one you would want to dance with. Heat olive oil in a large skillet or sauté pan on medium-high heat until shimmery. Wiggle the pan a bit so that oil coats the entire bottom. Add the onions, carrots, shallots, rosemary, salt, and pepper, turn the heat down to medium. 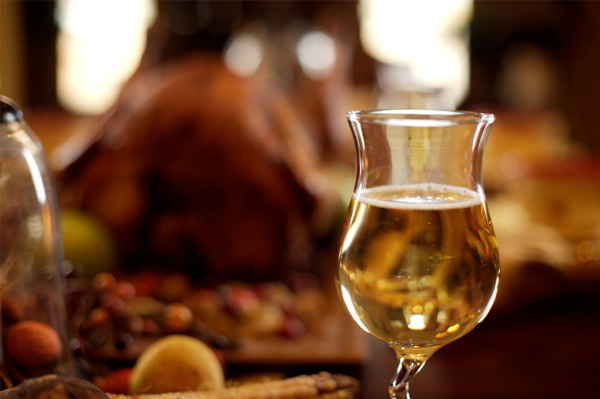 Simple, light, uncomplicated and elegant is just what you want in a Thanksgiving wine. With all sorts of aromas, flavors, and textures you need a wine that lets the food be the star. When I tasted this wine I knew it is one of the most food friendly wines I have ever had. Very subtle aromas of wild strawberry, plum and a note of oak mingle in the bouquet of this wine. Light in body much like a Pinot Noir, or Gamy, the wine has delicate flavors of strawberry, and rhubarb complemented by a very subtle clove like spice and a touch of dried thyme. The light fresh aromas and flavors are introduced to the palate with very fine tannins that are almost silky in texture. Pleasingly light in alcohol with only 11.2%, it’s easy to enjoy more than just one glass, perfect for a Thanksgiving feast. Only eight barrels, (198 cases) of this easy to drink wine were made, and some of it will be on my sideboard this thanksgiving. I suggest serving this wine with a very slight chill. It’s time to start thinking about Thanksgiving and what you’re going to serve This year all I have to do is vegetables. Here is one of the dishes I’ll be preparing its classic and the wine works all most every dish you can think of. Preheat a large cooking pan over medium heat and add oil. Chop spinach and slice mushrooms. Add mushrooms and spinach into the cooking pan. Season with some salt and pepper, cover and cook until spinach is a little more than half way cooked down, stir occasionally. Take off the lid and continue cooking until spinach is all wilted. Peel garlic cloves and smash them with your knife (be careful or use a metal spatula to smash it). Add garlic to spinach and mushrooms and mix well. Add white wine and simmer for a few minutes.